In a day of rapid developments, the Jammu and Kashmir Governor dissolved the state Assembly, which has been in suspended animation, shortly after rival alliances staked claim to form the government. The state is now headed for another spell of central rule beyond December 18 when the governor's rule comes to an end. Earlier, former chief minister and PDP patron Mehbooba Mufti staked the claim to form a government with the support of the Congress and the National Conference. Shortly thereafter, People's Conference leader Sajad Lone also staked claim to form the government with the help of the 25-member BJP. “In my twenty-six years year old career as a politician, I thought I had seen it all. But like they say never! [sic].” This tweet by the former chief minister of Jammu and Kashmir, Mehbooba Mufti, perhaps, aptly describes the political drama. One may think that this development may have taken place over a long period of negotiations, political mud-slinging and everything else that happens when the stakes to form a government are higher. Well, it all unfolded within a span of 15 minutes. And the unlikely political drama took place on the unlikeliest of platforms: Twitter. Three months before an American tourist was allegedly killed by the primitive Sentinelese tribe, the central government had reversed its ‘eyes on hands off’ policy and lifted restrictions to visit the island in a bid to boost tourism. The North Sentinel Island is home to Sentinelese Tribe which remains one of the four surviving tribes of the Andaman Islands and one of the last remaining ones with no contact with the outside world. The US national, who was killed was identified as John Allen Chau (27). He was killed after he arrived on the island and faced a flurry of arrows. This is how the government’s tweak to the law allowing ‘Tribal Tourism’ in Andaman may have led to American tourist’s death. They want to set up ‘Baba ka mandir’ in Pakistan, they want you to use muscle power to remove Babar’s name from history, they want you to know that if you live in India, you have to say ‘Vande Mataram’ and when you are visiting a temple, they want you to dance ‘kamar hilake….’ Desi, self- made popstars who are on a mission to spread their words of wisdom have given rise to India’s newest genre of music—Hindutva Pop. Not quite politics, and not yet a movement. These are songs about Hinduism, nationalism and cow politics. But there is a slight twist: the songs are accompanied with, what they call, 'DJ Music'. Here’s a News18 immersive to take a sneak peek inside the world of Hindutva Pop. A man allegedly masturbated in front of a student on a Delhi bus. The girl said that no one came to her rescue and she had to push away the accused herself. The incident occurred on Tuesday when the student was travelling from Kapashera to Vasant Kunj. 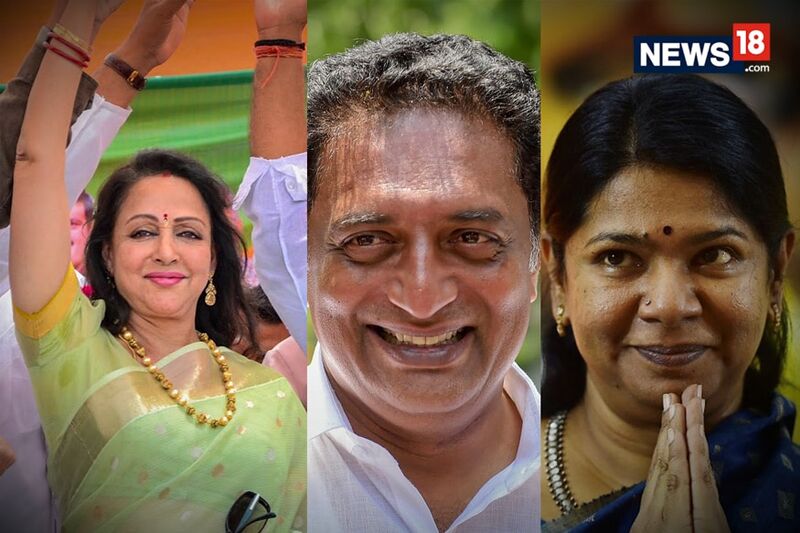 It is now ‘father’ of Telangana versus ‘mother’ of Telangana as India’s newest state goes to polls. Congress-led alliance ‘Mahakutami’ is banking on UPA chairperson Sonia Gandhi to counter Chief Minister K Chandrashekar Rao who claims he is the real ‘creator’ of Telangana. 'Love-hate.' There would not be any other term more befitting this IPS officer's relationship with the political parties in Kerala in the last three years. First, it was the CPM that was furious with him, and now it is the turn of the BJP. In between, he had also managed to tick off the state’s human rights commission. Meet SP Yathish Chandra, the Kerala IPS officer who was once a hero for sangh workers. In a shocking incident, a Moroccan woman has been accused of murdering her long-term boyfriend, cooking his remains and feeding to some Pakistani construction workers in the United Arab Emirates. The death sentence in the 1984 anti-Sikh riots is a symbolic justice that we have been hungry for, for far too long. And no, this is not justice at last, but only a token reassurance that can at best send out a message to limit the complaint that nothing was done. That complaint will be limited, not silenced. We are looking at a denial of justice in more than 3,000 murders committed over a span of a couple of days in Delhi. These are two persons convicted, 34 years later. With too many lapses and delays, anti-Sikh riots verdict not a victory but a mere step in the right direction, writes Sanjay Suri. After multiple controversies this year Facebook doesn't seem to have enough. Will this be Zuckerberg's last as CEO?